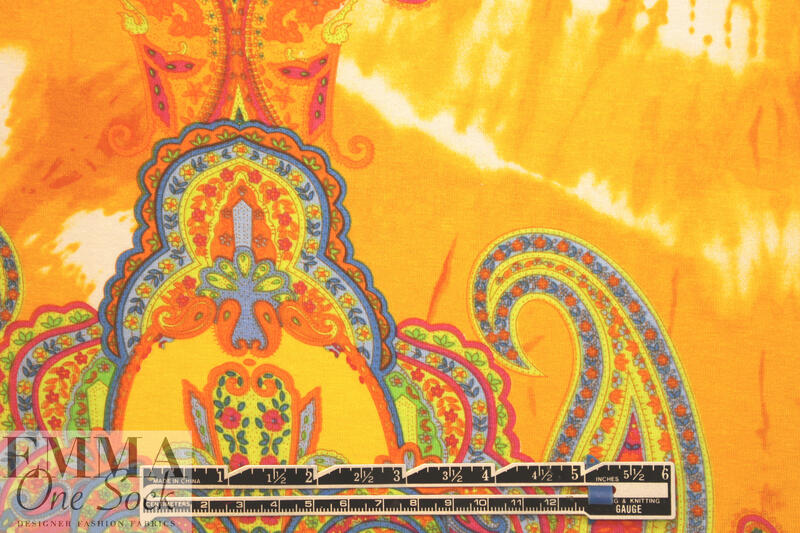 This fabric has a 36" repeat or 1 yard. Please order in one-yard increments. 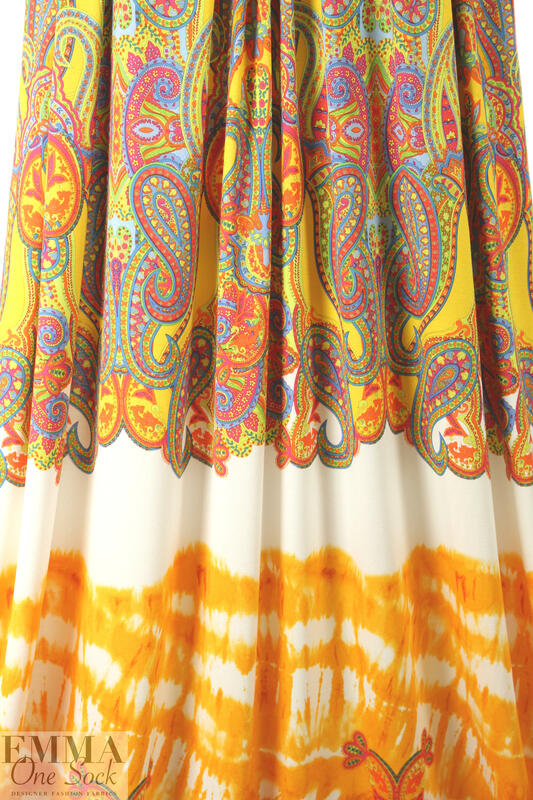 From a new shipment that just arrived from Italy, this is a fabulous viscose/lycra 4-way stretch knit, lightweight yet opaque, with lovely drape. 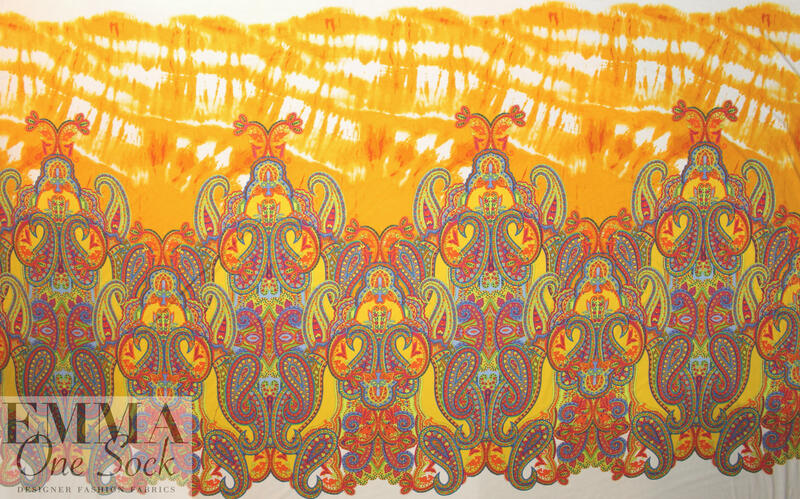 The beautiful tie dye with an intricate paisley border features shades of citrus, yellow, blue, rose, lime and white (PANTONE 14-1159, 13-0550, 16-4020, 17-2230, etc.). 80% stretch in the width, 40% in the length, with great recovery. 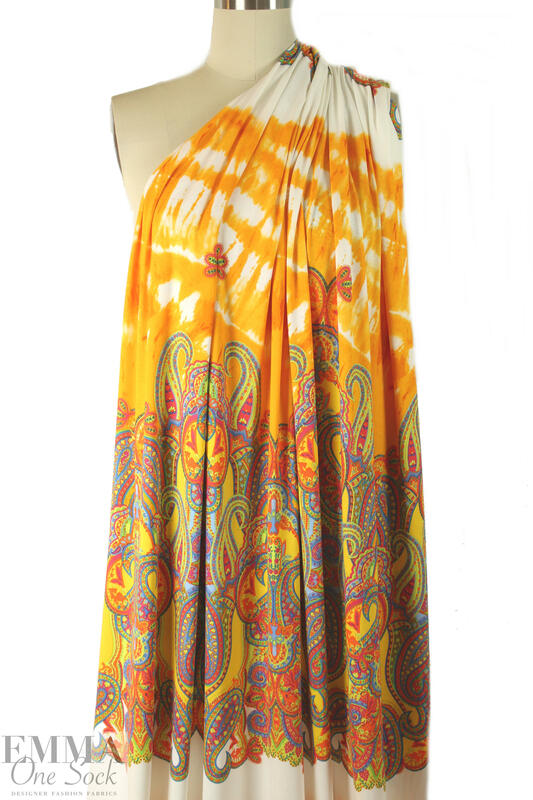 Great for tees, tops, tunics, etc. Beautiful quality! Hand wash or machine wash gentle, and hang to dry.